This weeks most clicked link is....Everyday Insanity's Autumn Granola! 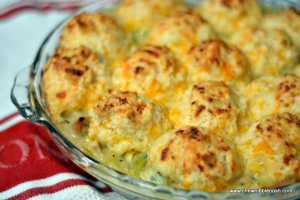 Here is an amazing looking Chicken Pot Pie with Green Apples and Cheddar Biscuits from Chew, Nibble, Nosh. These are totally being added to my Christmas cookie list. Maple Glazed Oatmeal Cookies from Chocolate, Chocolate and More. I love suprises, especially in my cupcakes! These Caramel Surprise Cupcakes from Krumble Cakes and Sweets look delicious! And, what could finish off all this amazingness better than this Caramel Apple Pie Popcorn from Lady Behind the Curtain. Thank you for featuring my Autumn Granola--it really is yummy. You just made my day. Thanks for hosting a great party. I'll link my granola back to your blog. I'm on my 4th try to leave a comment--proving I'm not a robot is a pain and could cause bloggers not to leave comments. Thank you for the link back, and thank you for letting me know about the security check issues, I will take a look. Thank you for dealing with it to leave a comment, I appreciate it! Thanks for hosting and for the feature! Hope you're having a great weekend! Thanks for joining, always love to see what you link up! Do you have a Facebook page? I would love to follow it if you do. If you don't, Facebook pages are wonderful things to use for a blogger. THanks for stopping by and linking up! Thanks so much for stopping by and partying! Thanks for featuring my Caramel Apple Pie Popcorn! Today I am sharing my Tomato, Basil and Mozzarella Sandwich and my Cinnamon Roll Topped Caramel Apple Cobbler. Thanks for hosting and have a GREAT weekend! Thanks for hosting again this week... I linked up my doughnut pancake with maple glaze. Oh the party just started, you are right on time! I am SO EXCITED! Thanks for featuring Caramel Surprise Cupcakes. Again, thanks for hosting such a great party. Thanks for linking up, my pleasure to feature such a tasty treat! Thanks for stopping by!